The Society of the Alumni of the Department of Dentistry Records came from files in the Dental School Library Historical Collection (UPC 4.11), and from files transferred from the School of Dental Medicine Library to the University Archive (Accession Number 2015:018, May 2015). The Society of the Alumni of the Department of Dentistry Records are organized into one series and arranged alphabetically. 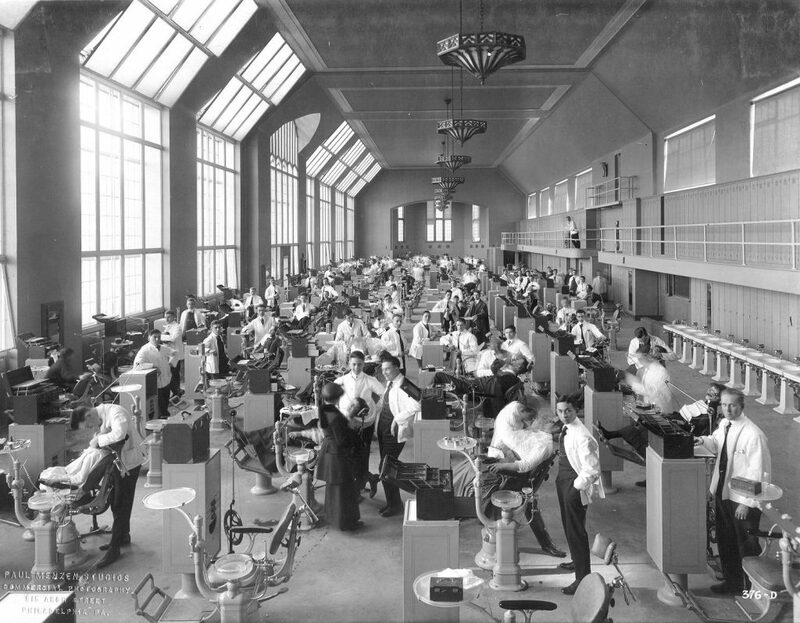 The Society of the Alumni of the Department of Dentistry was formed on March 1, 1881 by the first three graduation classes from the University of Pennsylvania’s new Department of Dentistry. Those present at the first meeting elected officers, formed a committee to draft a constitution, and sent out notification to other alumni. Over the years, the Society has grown as the Department of Dentistry developed into the School of Dental Medicine. One of the Society’s activities was the publication of the Penn Dental Journal. Today the organization exists as the Dental Alumni Society. The Society of the Alumni of the Department of Dentistry contains the record for the formation of the Dental Alumni Society from 1881 through to the mid-twentieth century. It consists of membership records, correspondence, meeting minutes, and copies of the Penn Dental Journal. The Records are not complete for the period.